"In the harshest place on earth, love finds a way,” announces Morgan Freeman and he is right. 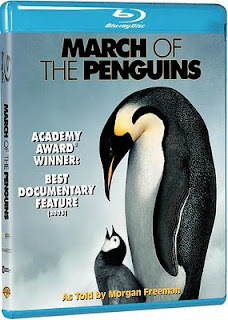 March of the Penguins is a love story, which portrays the struggles of the Emperor penguin to survive in one of the most difficult parts of the earth, Antarctica. March of the Penguins is a National Geographic Feature Film production from 2005. 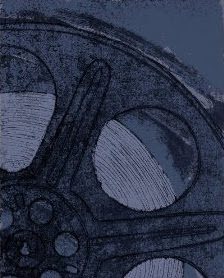 It is an Academy Award winning film and won an Oscar that same year for the Best Documentary Feature film. Watch March of the Penguins and you will learn a lot about these handsome birds…about how year in and year out they follow the same migration path to find their mate and bear young. It is definitely a love story but also a story of survival of the fittest. The blu-ray? Well, after reading some grumbles from the Amazon customer reviews, I was surprised to see that both High-Def Digest and Blu-ray.com recommend this film in blu-ray. It is a wonderful nature film and is great family entertainment, deemed suitable for children from kindergarten age and up. If you love nature films, you will enjoy this one. The penguins are spellbinding. Read more about March of the Penguins. Order your copy of March of the Penguins from Amazon.